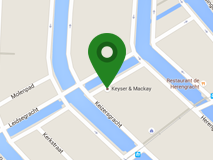 Keyser & Mackay is a chemical distributor active all over Europe. We work with first class principals and have long lasting relationships with customers. For over 80 years the company is already active in Belgium and has a professional sales team and staff operating successfully in Belgium. The Industry manager is the first contact for the customers in his/her industry and area. The Industry Manager is responsible for all commercial decisions and is technically skilled in the responsible segments plastics, composites, pvc and textile. You will be extensively travelling through Belgium to visit existing customers, as well as developing new business. Entrepreneurship and industry ownership are highly appreciated. In your efforts to grow the business with existing and new customers you will be supported by technical training and back up from the dedicated principals. You will follow up on market trends and act as an intermediary between customer and principal. You will be working in a team with other Industry Managers, responsible for other segments. Also an inside sales team is giving support to your business and sales efforts. The ideal candidate has experience with raw materials in the chemical distribution. You are interested in searching for solutions and selling added value products for plastics, composites, pvc and textile. You will be part of a company focusing on specialties and added value selling. The company will enable you to grow personally. The offer will be a competitive package including bonus and car.